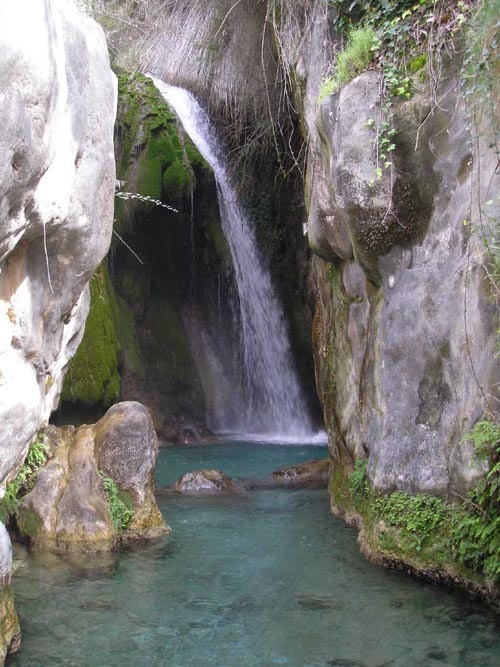 Waterfall Picture - ( Stock Photo ) - Fantastic photograph of a waterfall taken at Fuentes de Algar, near Guadalest in October 2006. A few minutes before this picture was taken there were people swimming in the pool below although the water is icy cold even in the summer time. If you would like to use this free waterfall picture please click here, we have plenty of other stock photos that are free to use on your website or project.